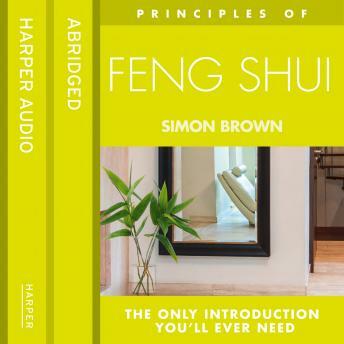 The bestselling Principles title, specially adapted for Audio A complete introduction to feng shui which takes you on a guided meditation through your home. Feng Shui is the ancient Oriental system of organizing your home and workplace in a way that will bring you health, happiness and success. This tape explains the basic principles behind feng shui. Simon Brown takes you room by room through your house, showing you how the placement of objects, furniture and rooms can change the energy and harmony of your home.